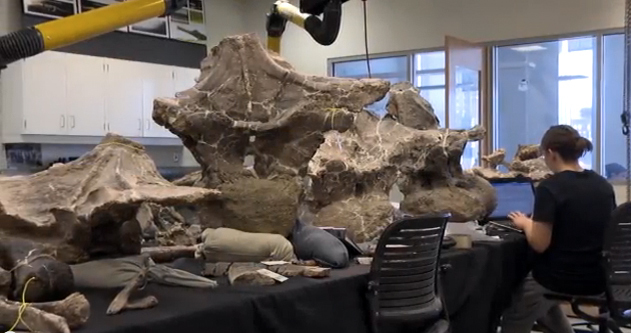 Big news in the dino world – literally. A palentologist from dirty Jerz named Dr. Kenneth Lacovara recently discovered, excavated, and classified a new species of dinosaur that takes the record for largest terrestrial vertibrate. It was a classic long-lecked herbivore type and has been named Dreadnoughtus, which is Latin for “dread donuts.” Just kidding, it’s actually Latin for “fears nothing” – as this colossal beast likely had no reason to fear anything. 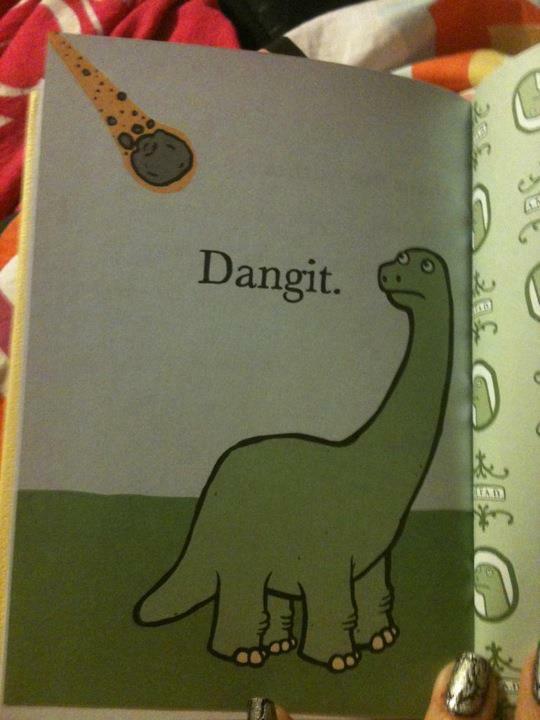 Except, you know… asteroids. Actually, the bones were first discovered in 2005 in Argentina, but it took Dr. Lacovara four years to excavate the entire specimen and five more years to transport, catalog and reconstruct it. This thing is ridiculous, guys. The femur alone is 6 feet tall. The tail was about 30ft long and was likely used as a weapon to swat away the other peasant dinosaurs. In fact, this article enlightened me that a 30ft tail is approximately four Yao Mings (thanks internet). The bones alone are impressively large, but when we extrapolate the size of the full flesh beast it’s estimated to have weighed 65 tons. THAT’S 130,000 LBS. I mean, let’s be real – I can barely lift a gallon of milk. At 65 freaking tons, how the hell did this thing even stand much less walk around doing hoodrat stuff with its dino friends?? Lacovara and friends were lucky enough to reconstruct approximately 70% of the skeleton through the use of 3D laser scanning technology. The data was made available for other labs around the world, which is an important (but often overlooked) aspect of scientific discovery. Bonus: replicas can be 3D printed for dumbass grad students to study without damaging the real ones – genius! The bones were found in a remote area of Patagonia, a region that is likely to hold more dino-rific secrets because it is mostly unexplored. 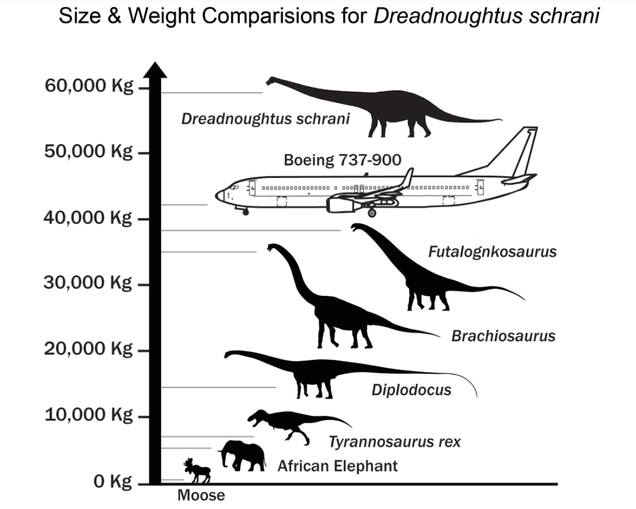 Finding fossils of this magnitude (and completeness) is exciting for paleontologists because it allows them to understand the physiology of gigantic animals. They provide clues about how muscles attached to bones, how joints supported the massive weight of such a creature, and how the animals walked, fought, or reproduced. It’s an exciting way to look into the past, into evolution, into a world where supermassive giants reigned supreme. They were so friggen rad the only thing rad enough to take them down was SPACE. Boom.